PI's VP of Marketing, Doug Bailey, discusses development of InnoSwitch technology. Read the article and watch the video now! The InnoSwitch™-EP family of ICs dramatically simplify the development and manufacturing of low-voltage, high current power supplies, particularly those in compact enclosures or with high efficiency requirements. 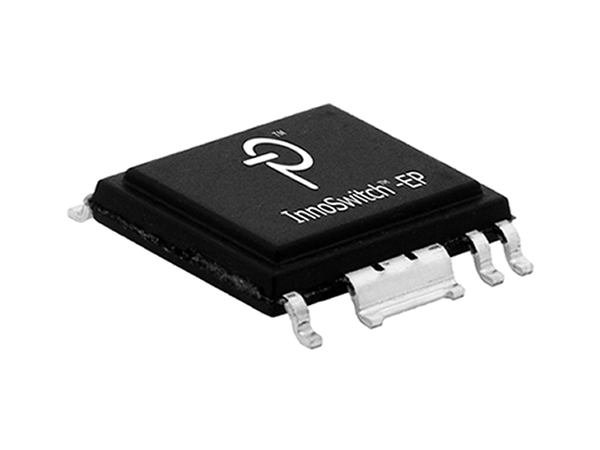 The InnoSwitch-EP architecture is revolutionary in that the devices incorporate both primary and secondary controllers, with sense elements and a safety-rated feedback mechanism into a single IC. 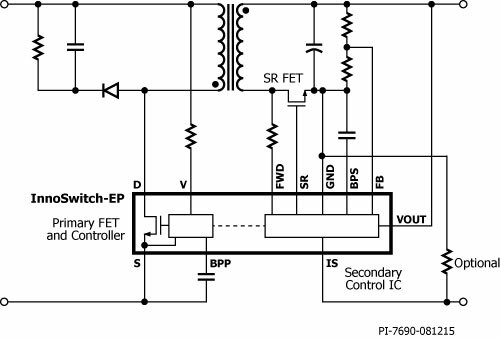 Close component proximity and innovative use of the integrated communication link permit accurate control of a secondary-side synchronous rectification MOSFET and optimization of primary-side switching to maintain high efficiency across the entire load range. Additionally, the minimal DC bias requirements of the link, enable the system to achieve less than 10 mW no-load to maximize efficiency in standby. Learn more about InnoSwitch for high voltage applications. Minimum continuous power in a typical non-ventilated enclosed typical size adapter measured at 40 °C ambient. Max output power is dependent on the design. With condition that package temperature must be < = 125 °C.